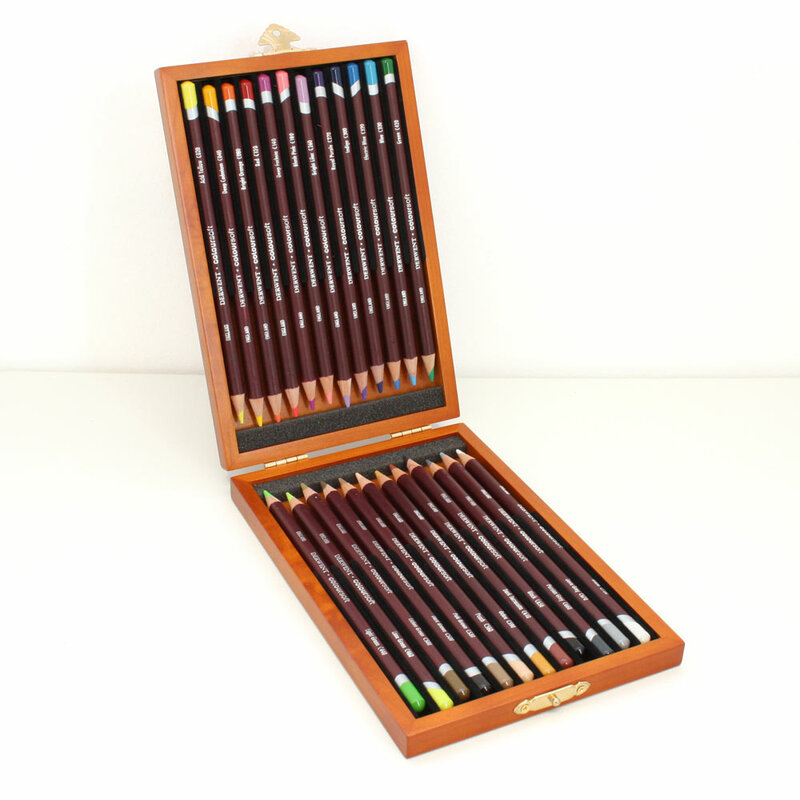 This high quality wooden box made of maple containing 24 Coloursoft pencils. Derwent Coloursoft are highly versatile colour pencils with a soft, velvety strip for the quick, dense application of bold and vibrant colour, plus they can be easily sharpened to a fine point for detailed work. Capable of being mixed and blended to create an infinite spectrum of rich, dazzling colour. Derwent Coloursoft can be used for a wide variety of work from finely detailed illustrations to bold, contemporary still-life and portraiture.